Jenny Macnaughton was born in Sydney and attended East Sydney Technical College in a course of survey drafting and worked for some years as a tracer-draughtswoman. She has been actively painting in oils since 1971 and diversified to watercolours in 1981. She attended Willandra Art School for tuition in watercolours. She is an exhibiting member of the Royal Art Society of NSW, The City of Ryde Art Society and The Drummoyne Municipal Art Society. 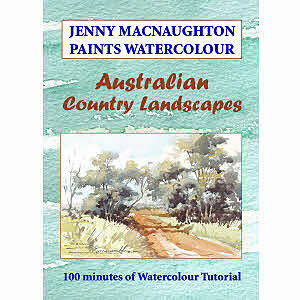 Jenny has held many exhibitions in Canberra, Sydney, Newcastle, Rockhampton Inverell and Dorrigo.